The Autopilot Camera Stabilizer from ProAm USA enables you to capture smooth, flowing movements that add a captivating dynamic to your films. With the triple axis gimbal, vibrations are greatly reduced making shots that seem to float. A camera stabilizer system created for DSLR cameras weighing up to 6 lbs, the AutoPilot is a lightweight and compact handheld system. 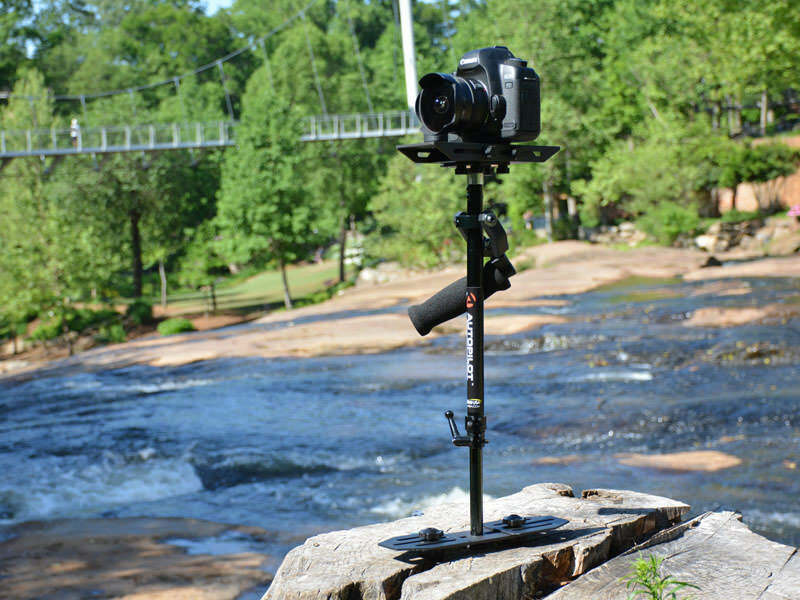 It removes the need for tripods or dollies, giving great flexibility to filmmakers to achieve camera motion and tracking shots. The AutoPilot was introduced by ProAm USA, a US designer and manufacturer of film and video equipment that was founded in 2003. The AutoPilot Camera Stabilizer's large precision bearing gimbal absorbs unwanted camera motion over all types of terrain. The AutoPilot features a camera platform with both X and Y adjustments, and multiple mounting holes for various camera positions. Shipping Weight and Dimensions: 6 lbs, 18" x 10" x 4"
I have a small Sony flip camcorder HD-CRX series. Will this camera balance with the flip out viewfinder flipped out? If so, does it make the unit harder to achieve balance? If not, what do you recommend? Yes, it will easily balance even with the LCD screen flipped out. 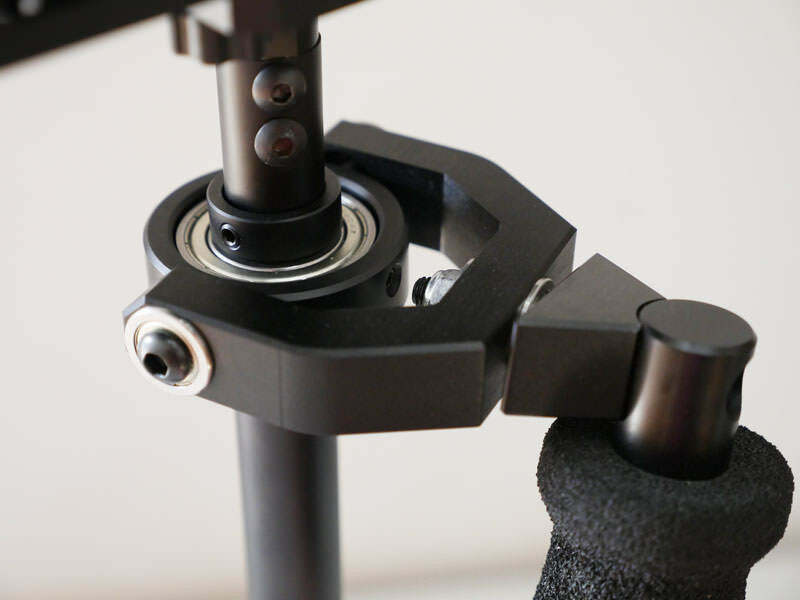 The rotating plate weights allow you to fine tune the balance without making additional adjustments to the camera platform. 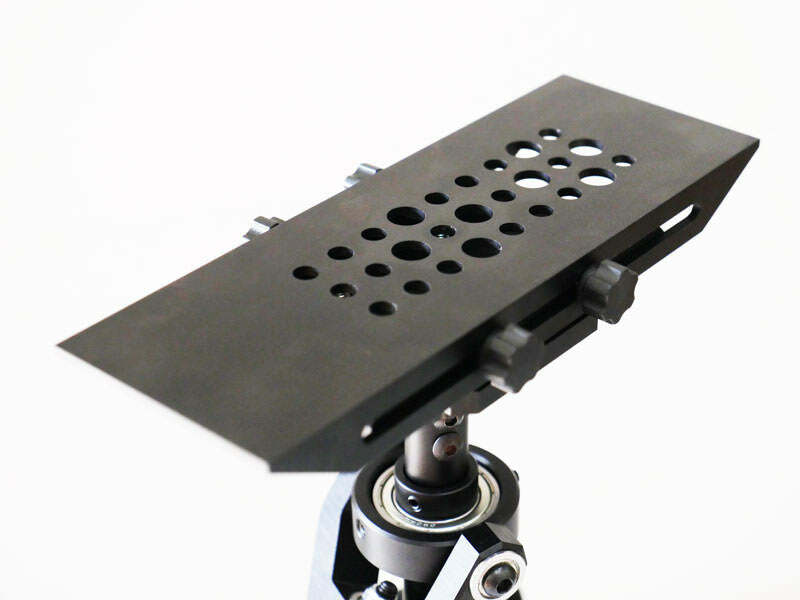 For lightweight cameras, we recommend using a quick release plate beneath the camera to increase the weight on the camera platform, making balancing easier.